It was back to the Orchard Theatre, Darford for another press night, tonight was Mike Leigh’s play Abigail’s Party. Beverly Moss invites her new neighbours, Angela and Tony, who moved into the road just two weeks ago, over for drinks. She has also invited her neighbour Susan (Sue), divorced for three years, whose fifteen-year-old daughter Abigail is holding a party at home. The gathering starts off in a stiff, insensitive, British middle-class way as the virtual strangers tentatively gather, until Beverly and Laurence start sniping at each other. 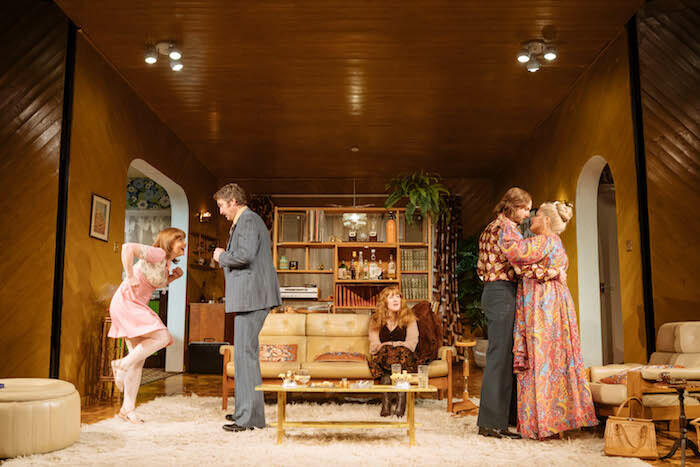 Abigail’s Party is a play which was written for the stage and television devised and directed in 1977, it Is currently on its most recent UK tour, it is a surburban situation comedy of manners and a satire on the aspirations and tastes of the middle class that emerged in Britain in the 1970s. The play itself has quite a cult following, I myself had never heard of play and was very much intrigued to see what it was all about. 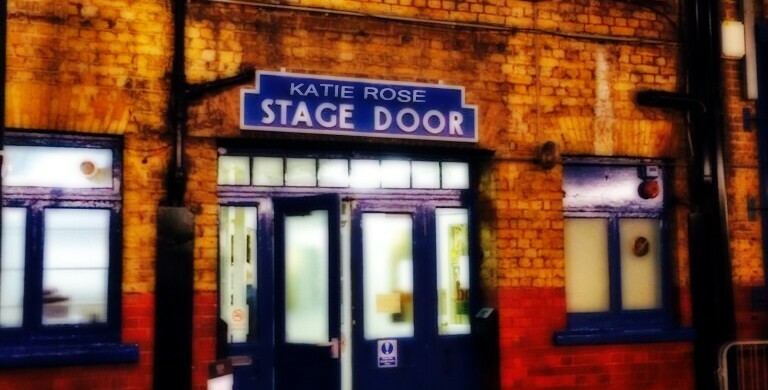 Many know the production from the Televised version on BBC starring Alison Steadman. For me the productions was quite slow going, with much of Act one watching the characters unfold. It wasn’t until Act 2 where the pace started to quicken, with more comedy flowing. With that being said, I didn’t find it as funny, that’s not to say I didn’t chuckle but I did rarely laugh out loud. There were a few moments, particular in the second act that had the audience which showed that this play is loved by many of the public and from this perspective it was an enjoyable evening. Jodie Prenger steps away from musical theatre and into the role of Beverly, its clear that Jodie is loving the character and makes sure she is perfect from looks to voice. Her relationship with her husband Laurence played excellently by Daniel Casey was interesting to watch, a married couple without their issues but at times you could see each of them were reaching out at points to be rejected and seek comfort elsewhere. For Beverley in particular it was Tony played by Callum Callaghan, his role was quiet and mysterious – what did happen when he checked on Abigail’s party, I still want to know. Callum had the cool, chilled persona to a tee and his relationship with his wife Angela played by Coronation Street’s Vicky Binns was questionable, Vicky showed a complete contract in character to that of Jodie which was brilliantly done. Quiet and petite you could see that she felt out of place, but keen to please others. Then there was divorcee Rose Keegan in the role of timid Sue, who seems a little on the push over side and scared to speak for herself – well until the very end. Rose had brilliant comic timing that supported the story greatly. Each character had their own distinctive trait, that was clearly portrayed by all cast members that allowed the audience to love them. They all had great chemistry on stage and you could tell they were enjoying performing as much as the audience were watching! It is unfortunate that this production was at times a little lost on me but, again the audience seemed to really enjoy it. Not every play is right for everyone however, I did enjoy my evening out and to see the cast alone was worth the viewing itself. 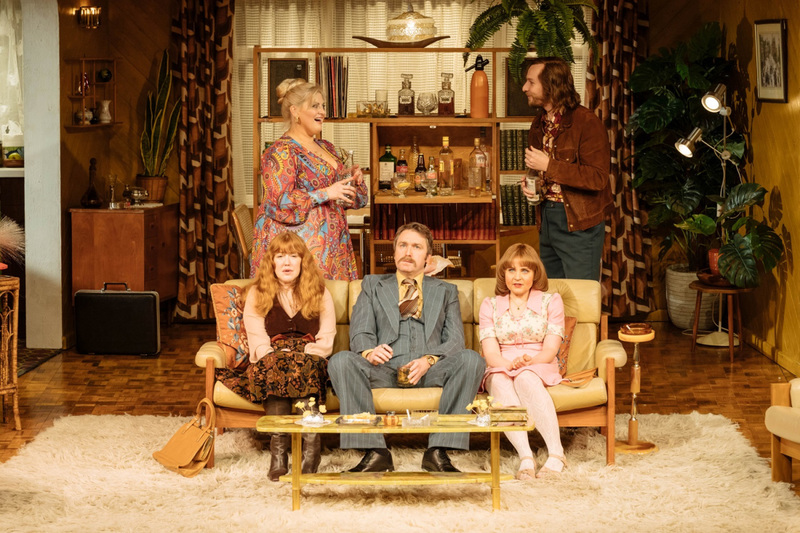 Abigail’s Party plays at the Orchard Theatre until Saturday 6th April 2019, for all ticket information go here. It then continues on its final leg of its tour, for dates go here.